Happy Valentines Day: $1,000 of BTC awaiting for you! Love is in the air… To celebrate Valentine’s Day, we are committed to share love to our CoinCola community. We will be sending out love letters with BTC reward to our users because you are all EXTRA SPECIAL to us! 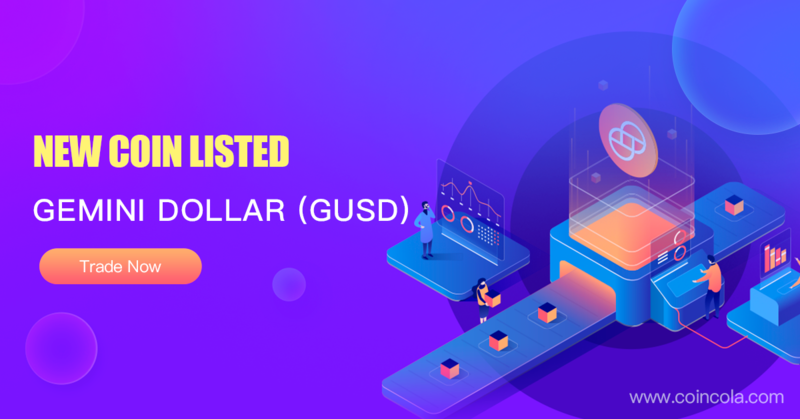 Reward 2: Trading Bonus up to $1,000! A total of $1000 of BTC in this trading bonus reward. Trading bonus does not apply to advertisers. Each user will only be qualified once every day. What is a Bitcoin Love Letter? 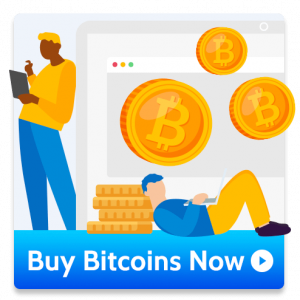 Each Love Letter will contain $20 worth of BTC to be shared by you and your loved ones! You can share the reward via link or QR code with anyone, and the BTC amount will be randomly split among recipients (50 people max). Once you receive the QR code/ link, click to open. 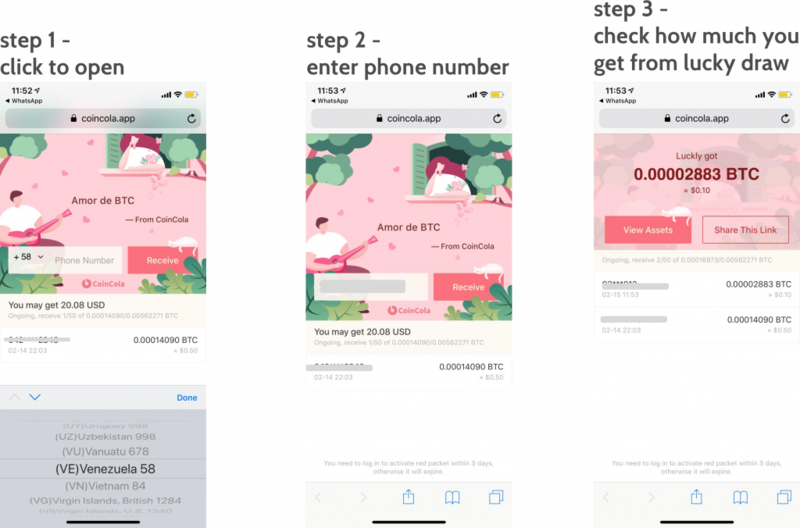 Enter your phone number to claim – the BTC will be randomly split among 50 people max (like a lucky draw). For existing users, you will need to bind your phone number in your account, if you have not already. 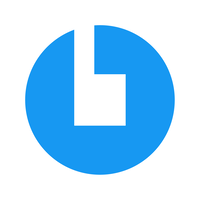 CoinCola will automatically credit the BTC reward to the account linked to the phone number entered. 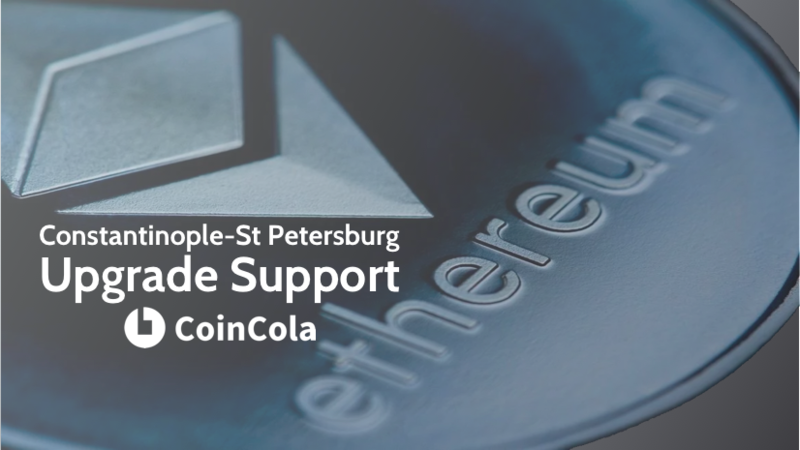 For new users, you need to sign up with the phone number entered and login to CoinCola within 3 days to activate the reward. The promotion period runs from 2019/02/12 0:00 AM (VET) to 2019/02/28 24:00 (VET). Reward 1 is open to all users. Reward 2 is open to users in Venezuela, Chile, Mexico, Peru, & Colombia. To enter the promotion, participants must fulfil the required tasks stated on Facebook, Twitter or Instagram posts. 6 winners for reward 1 is randomly selected from CoinCola social channels. Reward 1 shall be sent in a QR code or link directly to the participated accounts. Users can share to 49 additional users to randomly split the reward. 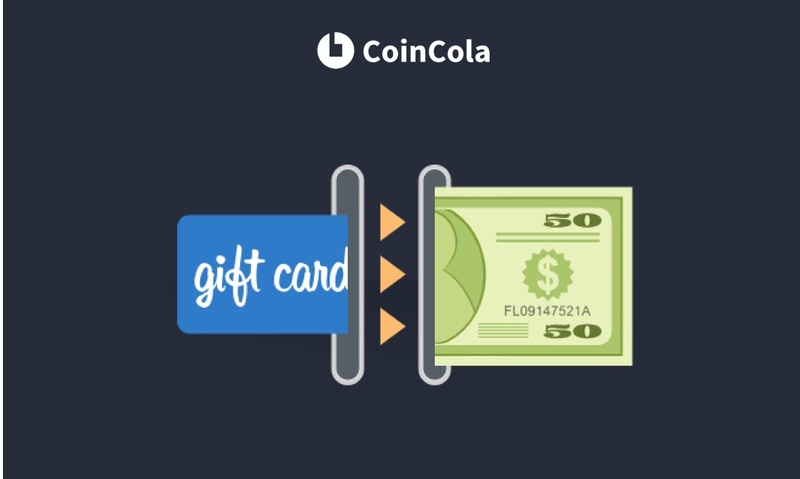 Reward 1 shall be credited to the CoinCola BTC wallet upon logging into CoinCola App or Web. Unactivated amount will expire in 72 hours. Reward 2 will be credited immediately to the BTC wallet after an eligible trade is completed. CoinCola checks for duplicate or fake accounts and doesn’t pay out bonus or rewards on these accounts. Duplicate or shared credentials will cause disqualification. CoinCola reserves the right to investigate any suspicious or inappropriate activities related to any CoinCola promotions, and to disable any inappropriate accounts at any given time. CoinCola expressly reserves the right to amend the terms under this Valentine’s Day promotion, without notice due to changing market conditions, risk of fraud, or other reasons. The exchange rate of BTC shall prevail at the end of the event. 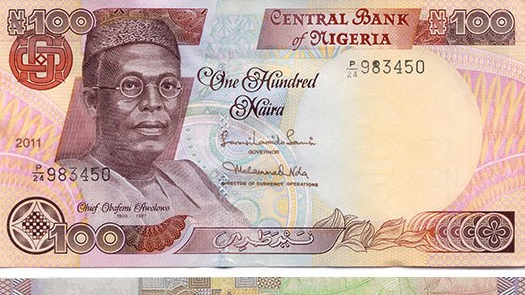 One of the Unbanked Nigerians? We Got You! 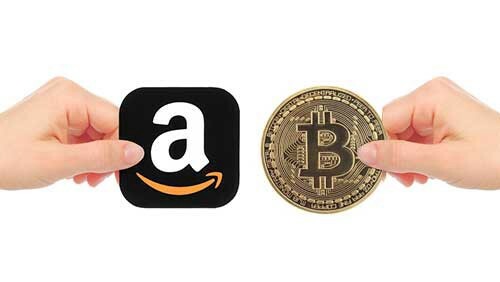 How to Sell Amazon Gift Card for Bitcoin?